The issue of outlawing spanking has recently been raised in Massachusetts, but it is a topic that is often discussed in various settings. Should parents spank their children? Of course they should. Spank is defined by Webster as to slap on the buttocks with a flat object or with the open hand as punishment. Webster is not far from harmony with the Scriptures. For the sake of clarity let s take notice of what Webster says about corporal punishment. He tells us that corporal comes from the Latin meaning bodily or of the body. The issue in this discussion is whether it is appropriate to punish a child in a physical manner and specifically spanking. Advocates of a law forbidding spanking do not understand why parents should spank or how parents should spank. We live in a violent society where many irresponsible parents know little about the rearing of children and therefore in a fit of anger may in fact abuse a child through beating or manhandling. As is often the case, the failure of a few, move some to advocate an inappropriate law for all. We say, punish the criminal, but don t take away the rights and responsibilities of parents. It is significant that at the present time no State or Commonwealth of the United States lists spanking by parents as child abuse. (See the book No Fear, by Robert R. Surgenor; Providence House Publishers). One of the reasons that spanking is legal is that it has historically been the practice of parents to use the mild pain of spanking as a source of motivation for children to choose to do right and refuse to do wrong. The practice of spanking has been profitable for families and society in general. There is no place for tolerating abuse, but spanking has never been equated with abuse, nor should it be. Without apology we turn to the Bible for further guidance in this area, because it gives us clear instruction and helps us to understand why spanking should not only be legal, but in fact is a necessary practice to assure success in critical areas of child rearing. A foundational biblical text on spanking is Proverbs 22:15. It does not deal with every aspect of spanking, but gives us essential truth. It states, Foolishness is bound in the heart of a child; but the rod of correction shall drive it far from him. Let’s consider some of the salient features of the text. Foolishness is bound in the heart of a child. The text begins with an affirmation relating to the nature of the child. It says foolishness is bound in his heart. This goes to the core issue. Our view of the child is a determining factor in how we rear him. Children are precious. They are God s gift to parents. I have five and I love them more than words could tell. I do remember and recognize clearly however that I never had to teach one of them how to do wrong. The term foolishness means silliness and folly. Folly speaks of a lack of good sense and understanding. That which is folly can lead to a ruinous outcome. This condition necessitates training. The Bible says that a child left to himself, meaning he can do what he wants to do without proper restraints, bringeth his mother to shame. Foolishness is an expression of the deeper problem of sinfulness. The sinfulness cannot be addressed through discipline and training. It can be dealt with only through the salvation of the soul through faith in Jesus Christ. Success in dealing with the child s natural silliness and folly however, can help ready the young mind for consideration of God s salvation and other serious matters. The foolishness in our text is described as being bound in the heart of the child. The term bound conveys the idea of conspiring, and the conspiracy of foolishness is taking place in the deepest part of the child s being; his heart. If the foolishness proceeds unchecked it will turn the child into a fool, whose life will be disastrous. The fool is described in the Bible as one who despises wisdom and instruction, rejects authority, refuses counsel and correction, has no self control, is proud, deceitful and shortsighted. He does not take sin seriously and does not know when to be quiet. He also is reactionary and may speak or act without full knowledge of a situation. Yes I know people like that and so do you. How does a parent prevent his child from following such a pathway? But, the rod of correction shall drive it far from him. The Bible tells us how to conquer the foolishness in the child. It says the rod of correction will drive the foolishness away. Indeed it gives no other instruction for how to get foolishness out of a child s heart. The term rod refers to a small stick, perhaps what your parents or grandparents referred to as a switch. It is not very big and cannot do any harm, but when used on the buttocks can give an appropriate sting. 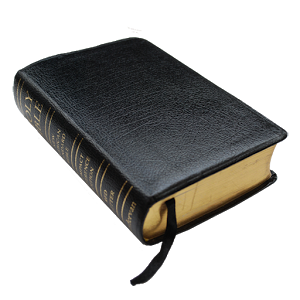 The original Hebrew term translated rod is elsewhere translated in the Bible by the word pen which helps us to grasp the small size of the rod. We note it is called a rod of correction/instruction. The use of the rod is not to focus on punishment for past actions as much as it is geared to correcting the child, so he will do better in the future. Amazingly the Scripture text tells us the rod will drive the foolishness away. How a switch to the bottom gets foolishness out of the heart is beyond my full understanding, but I believe it. Let’s discuss the spanking experience. Spanking is not the only way parents work toward training their children, but it is appropriate to deal with direct disobedience, defiance or disrespect. A child needs to be clearly instructed about what is expected of him. When he has been instructed and parents are sure he has understanding of what he is to do or not do, a spanking may be in order if he disobeys. If there is to be a spanking it should be done in the privacy of the child s room or some other quiet place. The attitude and actions of the parent will make all the difference in what benefit may come from spanking. The parent must never discipline in anger and frustration. He must not yell, bang tables or slam doors. Indeed he must be completely under control and speak quietly to the child. If the child is smaller, the parent may want to get down on a knee to speak eye to eye with him. In fact requiring the child to make direct eye contact with the parent will be extremely helpful. The parent will be most effective if he asks the child what the child did wrong. It is not wise to question only why something was done. Acknowledgement by the child of what he did will cause him to face that his actions were wrong and worthy of discipline. If a child thinks he is being disciplined unfairly, he may develop anger or bitterness. When the child has acknowledged his wrong doing the parent should inform him of the discipline to come. The child should be required to bend over to receive his swats on the bottom. Three should be sufficient. The child should know that he is not to scream, kick, block the swats with his hand etc. When the child has been disciplined the parent should talk to him quietly, comfort him and affirm love to him. It would be very appropriate to pray with him to ask the Lord to bless him and help him to be good and obedient. The parent should reinstruct as to what words, actions and attitudes are expected of the child and then the child should be sent back to resume his normal activities. Let it be affirmed that the above process is what a typical experience of spanking should be. No child should ever be punched, slapped or thrown around in anger. The parent must remember that he is in charge of the child as an assignment from the God of heaven who gave him the child. He is not in charge just because he is bigger and stronger. His authority is rooted in spiritual truth not physical size. One of the benefits of spanking is that it resolves the matter quickly and everything can get back to normal in short order. One of the purposes of spanking is to bring the child to the place where he respects his parents and is sufficiently under control so he can be taught how to act kindly, mannerly and respectfully. A great part of parental obligation is to develop wholesome character in the child. An out of control child cannot be trained to be responsible, diligent, loving, trustworthy, faithful, loyal, etc. Parenting that leans toward permissiveness on the one hand or abusiveness when frustration mounts is totally unacceptable. Our society is suffering in a hundred different ways because of young people who are giving themselves over to drugs, alcohol, violence and immorality. These young people will someday have to be held accountable for their ways, but they are often the victims of a home life where they knew little of loving discipline and training. Should parents spank their children? The parent who rears his child in accordance with the full teachings of the Bible, including appropriate spanking, has every hope that his child will grow up to love him, love the Lord and love others.